For the sporty drinkers out there, the appellation Ventoux will always be associated with the mountain that cyclists love to conquer. 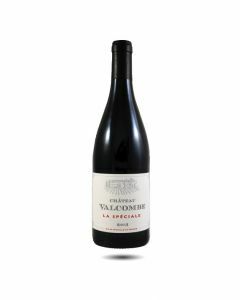 The appellation is quite large and covers 51 communes on the slopes of Mount Ventoux and the Vaucluse Mountains in the southern Rhône region. There are almost 6,000 hectares of vines planted on limestone rock with red tertiary and alluvial soils. The climate is Mediterranean and there is a strong influence from the Mistral wind. Like most of the other Rhône appellations, the wines of Ventoux developed during the period of the Avignon Papacy in the 14th and 15th centuries. Today, there are 1400 growers in the region and around 140 wineries, although this is increasing with tourism rising in the area. Listed as a biosphere reserve in 1990 by Unesco, respect for the environment and a considerable amount of organic winegrowing are key characteristics of the wines. 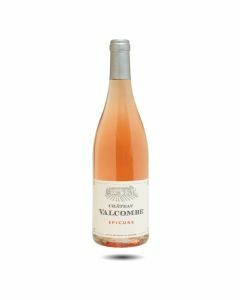 The wines are warm and soft with fragrant berry characteristics for the reds and scents of blossom and garrigue (the local soil which has a warm, fragrant aroma) for the white wines. Like other Rhône regions, Ventoux wines can be made from a variety of different grapes but primarily from Grenache, Syrah, Mourvèdre, Cinsault and Carignan for the reds and rosés and Grenache Blanc, Bourboulenc, Clairette and Marsanne for the whites. Quality is definitely on the rise here as new, ambitious winemakers are arriving in the region and replacing the rather mediocre wines made in the past by the local cooperatives. Produced from pure Carignan goblet trained vines planted around 1936, this is a very expressive nose which tastes of the wild landscape where it is grown. There is lots of spice in the nose, plums, sloes and wild flowers. On the palate the wine shows its organic roots with pure flavours, great acidity, some balsamic notes, spicy and soft with echoes of wild blossom and honey in the finish. A fascinating wine with lots of character. Another of Luc Guénard’s reserve wines produced in small quantities, this year 3,000 bottles were made. Serine is an old name for the Syrah grape and is especially used in the northern Rhone appellation of “Côte Rôtie” and the wine is a play on that association. 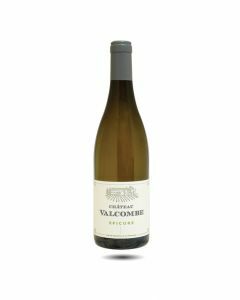 Old vines oriented towards the north east and a cold wind that blows down from Mount Ventoux around 5:00 am every morning, account for the incredible freshness in this wine. 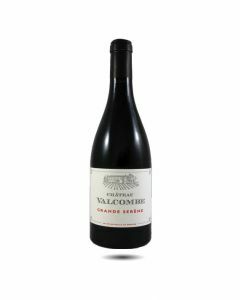 The flavours of this wine combine autumn fruits, wild hedgerow scents, beautifully integrated oak and an abiding acidity make this a perfectly pitched wine between power and elegance. It will age well for at least another ten years and is great served with red meats cooked on the open fire or barbeque.